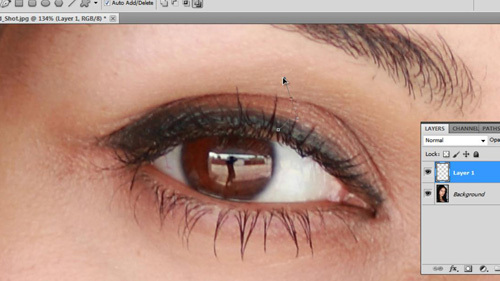 In this tutorial you will learn how to photoshop fake eyelashes which can be a great way to enhance a portrait photograph. 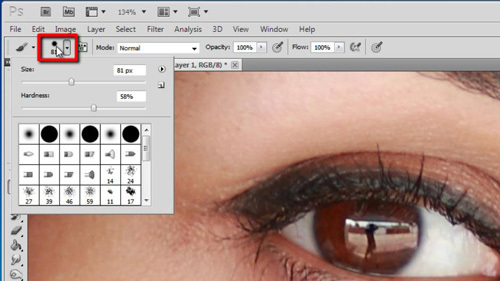 Start Photoshop and open the image that you want to edit and create a new layer by click “Layer”, “New” then “Layer”. You will want to zoom in on the eye that you want to enhance first. In the menu on the left click on the brush tool and in the menu that appears at the top click on the button to the right of the paintbrush image. Select a “Size” of 2 and set the “Hardness” to 100%. Click the button again to make the setting disappear. Now in the left hand menu click on the pen tool and click on the place where the eyelash will begin, click and hold where you want it to end. Now drag the mouse to give the eyelash a curve. Right click on the path you have just created and click on “Stroke path”, in the drop down menu select “Brush” and click “OK”. The fake eyelash will now appear. Press “Control”, “Shift” and “H” at the same time to make the path disappear. 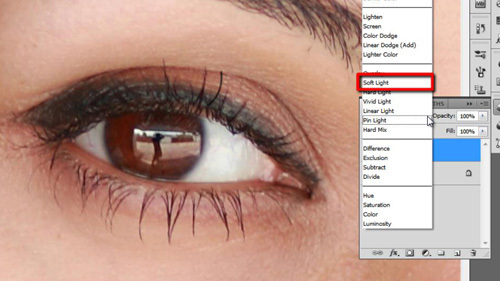 To make the eyelash more realistic, select the layer and in the drop down menu in the top left select “Soft Light”, you can also adjust the opacity, here we are setting it to 80% because that looks about right. The final process here is to duplicate the eyelash so many will appear. Select the “Move tool” in the menu on the left and hold down “Alt” on the keyboard. Click on the fake eyelash and drag it to duplicate. You can adjust it by checking the “Show Transform Controls” checkbox in the top of the screen. 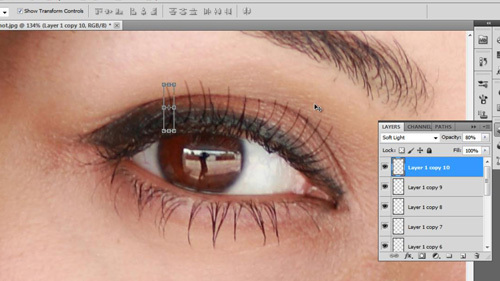 Duplicate and adjust as many times as necessary to complete the eyelashes, finally zoom out to see your completed picture and that is how to photoshop fake eyelashes.